Atomicorp OSSEC GUI is a PCI compliance software that provides security and log management for OSSEC. Work for Atomicorp OSSEC GUI? Learning about Atomicorp OSSEC GUI? What Security Risk Analysis solution do you use? The global network of highly skilled researchers and analysts, protecting businesses from known and emerging malware - viruses, rootkits and spyware. See all your risk, in every form, from every angle. Strengthen your security posture with automated risk assessments. Cyberoam Unified Threat Management appliances, available as hardware and virtual appliances, offer comprehensive security to organizations. NNT Change Tracker Generation 7 uses either an agent-based or agentless architecture. After initial discovery, NNT-Change Tracker scans your devices and compares them to a standard policy. Tenable.io is the only cybersecurity company that empowers customers to gain control of their risk by knowing and prioritizing vulnerabilities across their entire attack surface including traditional, cloud, mobile and DevOps environments. Symantec Security Analytics delivers enriched, full-packet capture for full network security visibility, advanced network forensics, anomaly detection, and real-time content inspection for all network traffic. Armed with this detailed record, you can conduct forensic investigations, respond quickly to incidents, and resolve breaches in a fraction of the time you would spend with conventional processes. Cloud Security Command Center helps security teams gather data, identify threats, and act on them before they result in business damage or loss. It offers deep insight into application and data risk so that you can quickly mitigate threats to your cloud resources and evaluate overall health. * We monitor all Atomicorp OSSEC GUI reviews to prevent fraudulent reviews and keep review quality high. We do not post reviews by company employees or direct competitors. Validated reviews require the user to submit a screenshot of the product containing their user ID, in order to verify a user is an actual user of the product. Hi there! 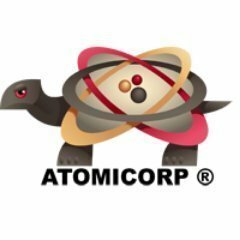 Are you looking to implement a solution like Atomicorp OSSEC GUI?